I was writing yesterday about the Revd Bolton Charles Waller, whose family roots were in Castletown Parish, Co Limerick, and his pioneering work in promoting world peace and campaigning against international war. 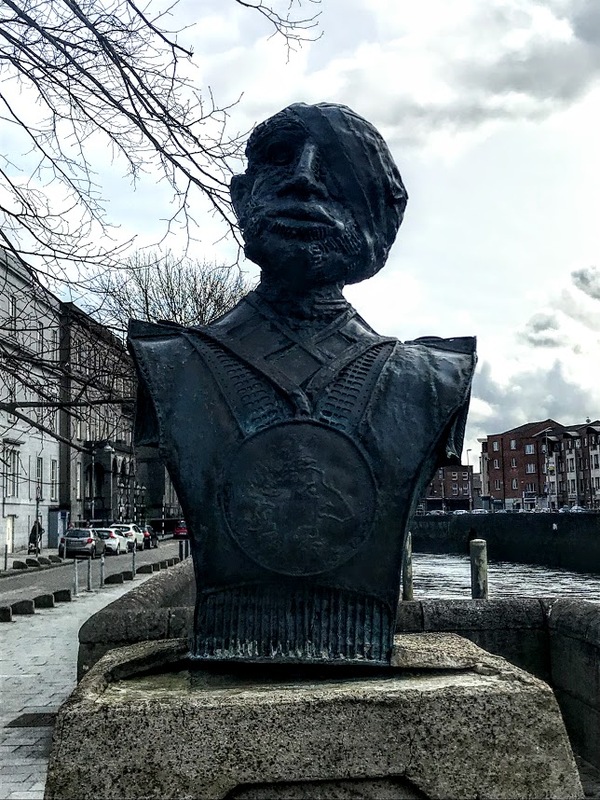 But Limerick also has its own unique ‘Anti-War Memorial’ in the shape of a two-piece sculpture on George’s Quay, opposite the Locke Bar and close to Barrington’s Hospital. This two-piece sculpture, representing the two sides of war, was created by Vincent Browne in 1987. His sculpture consists of two busts, one of a tyrannical, powerful general, who appears tall and strong, the other of an unknown injured soldier who is presented as a victim of war. These sculptures stand on 10-ft plinths facing one another on George’s Quay. 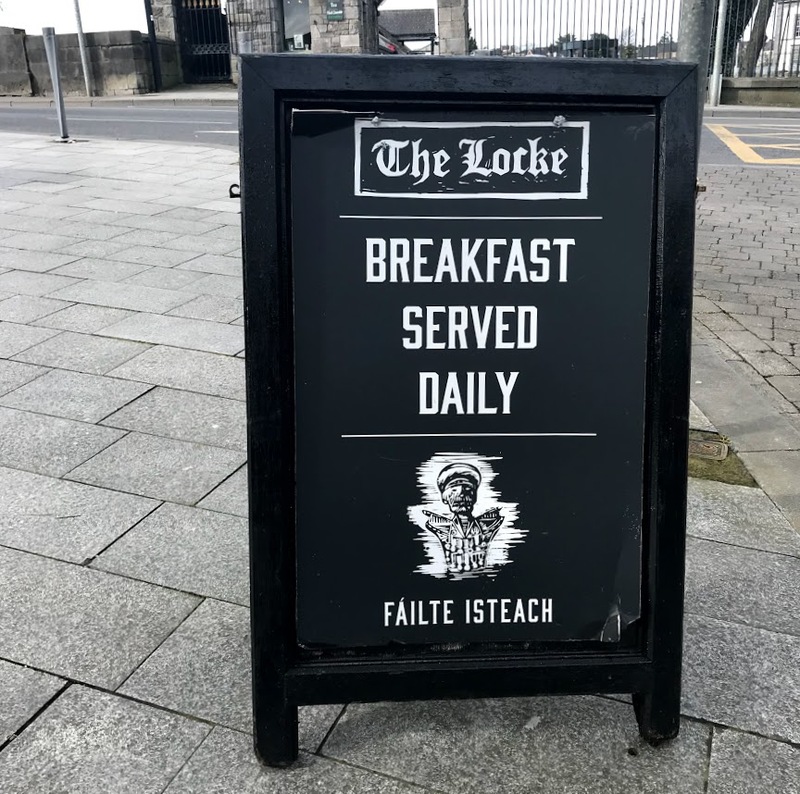 The work was a public commission with the hope that it would promote public sculpture in Limerick. Vincent Browne is one of the leading sculptors in Ireland. He was born in Dublin in 1947 and studied at the National College of Art and Design (NCAD) and the Jan van Eyck Academy in the Netherlands. His other works include ‘Mr Screen,’ a statue outside the Screen Cinema in Dublin, and the bronze Palm Tree seat in Temple Bar, Dublin. Vincent Browne was selected for the ‘Anti-War Memorial’ in Limerick through a process of open submission. The sculpture was created on the premises of the Limerick School of Art and Design (LSAD) during the Meitheal Sculpture Symposium in Limerick from 20 July and 28 August 1987. The statues are on the banks of the Abbey River at George’s Quay, opposite the former premises of Limerick School of Art. Four other pieces were created at the same time by artists Tom Fitzgerald, Eileen McDonagh, Jim Flavin and Tracy McKenna. 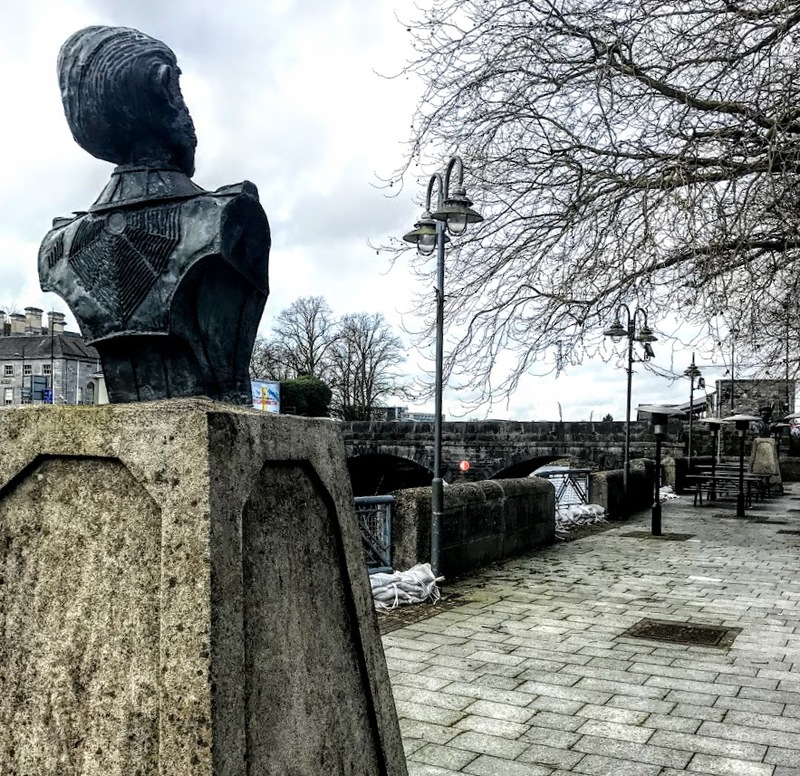 Their pieces are located at the Potato Market and at the Hunt Museum .These sculptures were created as part of the Cultural Agreement between the Arts Council and Limerick Corporation, the first partnership between the Arts Council and a local council. 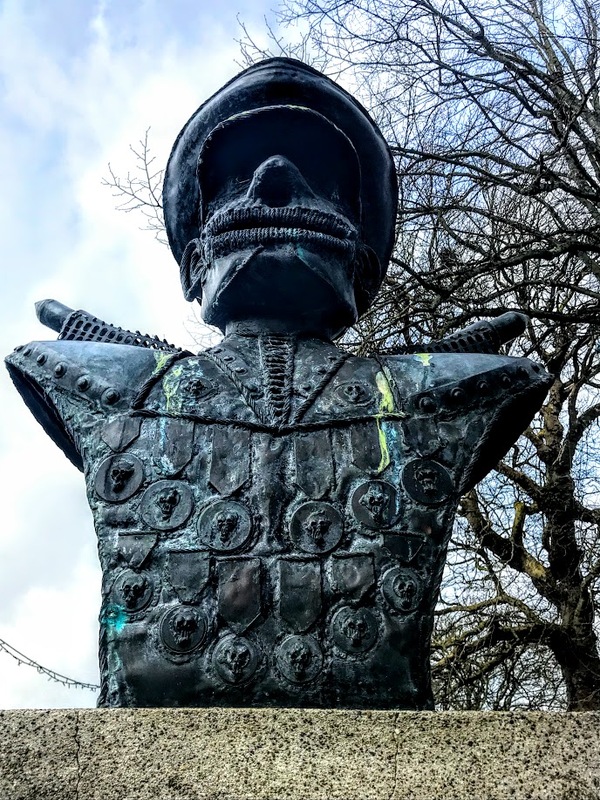 Vincent Browne’s ‘Anti-War Memorial’ is consists of two separate busts made of welded copper and brass that stand on 10 ft high plinths. The first bust portrays a general, who shows no wounds and no signs of being involved on the frontline in war. Yet he is decorated with least a dozen ribbon and medals, although each medal is embossed with the skulls of those he has sent to death, and two missiles serve as epaulettes on his uniform. He looks pompous, unscathed and appears to wield a of tyrannical power over the hapless soldier who faces him. He is meant to scare and revolt us. The second bust depicts this ‘unknown soldier’. He is a victim of the war, wounded and suffering with bandages wrapped around the left side of his face. Ironically, he also has an over-large, ostentatious medal hanging from his neck. Is this the only reward, recognition and compensation he has received for his battle wounds? 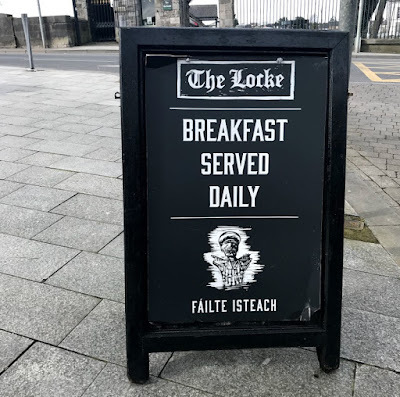 But there is some humour in the fact that the pompous general has also been cut down to size in the way his image is used at ground level on advertising board inviting people into breakfast in the Locke Bar. For the past two weeks, I have been looking at the 14 Stations of the Cross at Saint John’s Well in a forested area on the slopes of Mushera, outside Millstreet in north Co Cork and close to the Cork/Kerry border. Saint John’s Well is 8 or 9 km south-east of Millstreet, on the slopes of Mushera, on the Aubane side of the mountain, opposite the entrance to Millstreet Country Park. The Stations date from 1984 and were designed by Liam Cosgrave and Sons, Sculptors, of Blackpool, Cork. In the final station by Liam Cosgrave in Millstreet, Mary bends over to look at her son as he is stretched out on the grave slab in the tomb provided by Joseph of Arimathea. Christ’s left hand is raised up, almost to tell us he is going to be raised from the dead. Behind are two male figures with haloes indicating they are saints – Joseph of Arimathea and Nicodemus, perhaps, although the younger, beardless figure on the left could also represent Saint John the Beloved Disciple. Through the entrance to the tomb, we can see in the distance the Hill of Calvary, with three simple, bare crosses. The simplicity of this station in Millstreet, with its sharp lines and outlined shapes, is in sharp contrast to the elaborate, tableaux of this scene found in cathedrals and churches throughout Continental Europe. The Deposition of Christ by Vincenzo Onofri, dating from the early 16th century, is in a niche under the organ in the right nave of the Basilica of San Petronio in Bologna. There are seven terracotta figures in this work. 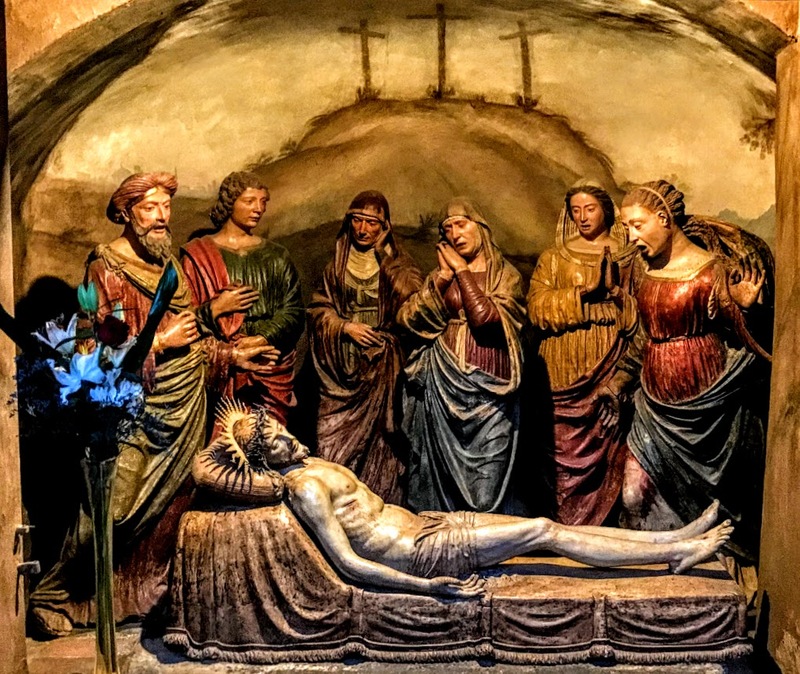 The group gathered around Christ in the tomb includes Nicodemus and Saint John the Beloved Disciple on one side, and the Virgin Mary and the three other Marys who are witnesses to the Crucifixion in the centre and to the left, with an expression of horror on the face of Saint Mary Magdalene. The artist has left his signature on the cushion on which the head of the dead Christ rests. Once again, through the entrance to the tomb, we can see in the distance the Hill of Calvary, with three simple, empty crosses. There is a very different, though equally elaborate sculpted terracotta tableau from the early 16th century by Alfonso Lombardi (1497-1537) in the Cathedral of San Pietro in Bologna. Here, in the Compianto su Cristo morto (‘Lament over the Dead Christ’), completed in 1522-1526, the Virgin Mary is held up by two of the other Marys as she faints with grief, while Mary Magdalene stretches out her arms in horror. Saint John the Evangelist is to the left, while to our right Nicodemus kneels with his arms crossed. He has asked for the Body of Christ, now he kneels as though he has just received the Body of Christ in the Holy Communion. Good Friday is just two weeks ago today. Easter Day follows two days later. Cold stone. A shroud. Darkness. The disciples gather in fear. A grain of wheat waits for spring. Alpha and Omega, you are beginning and end. In death you conquered death so that even at the grave we praise your name. Help us to find you as the way, the truth and the life and to lead others out of darkness and into your light. This we pray in the name of Jesus, our crucified Lord, the King of Glory, the King of Peace. Amen. Lord Jesus Christ, you stretched out your arms of love on the hard wood of the cross that everyone might come within the reach of your saving embrace: So clothe us in your Spirit that we, reaching forth our hands in love, may bring those who do not know you to the knowledge and love of you; for the honour of your Name. Amen. Tomorrow: Introducing the Stations of the Cross in the Chapel of Saint John’s Hospital, Lichfield.